Fluor is one of the world’s leading companies in engineering, procurement, construction, maintenance and project management. 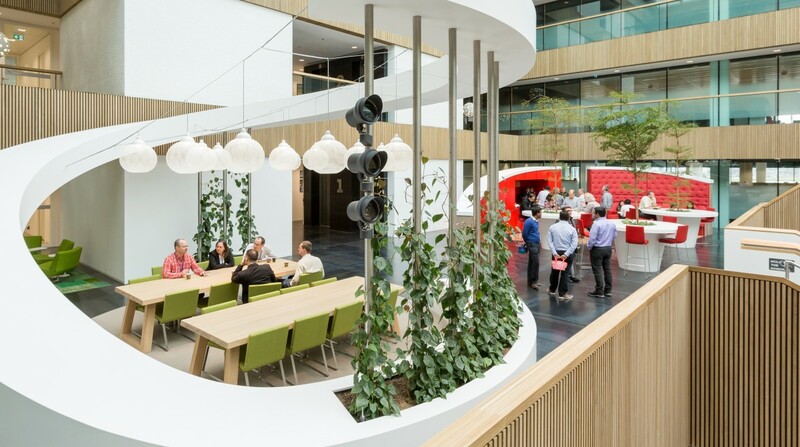 The realization of a brand new BREEAM (Building Research Establishment Environmental Assessment Method) building in Hoofddorp was combined with a wish to furnish it in a green manner. 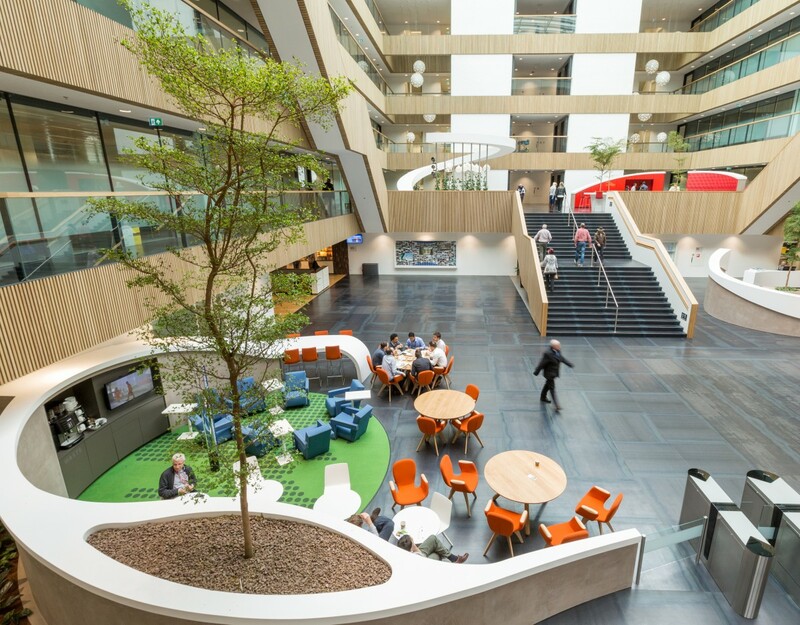 The interior planting was designed to contribute directly to a healthy, sustainable and representative working environment. 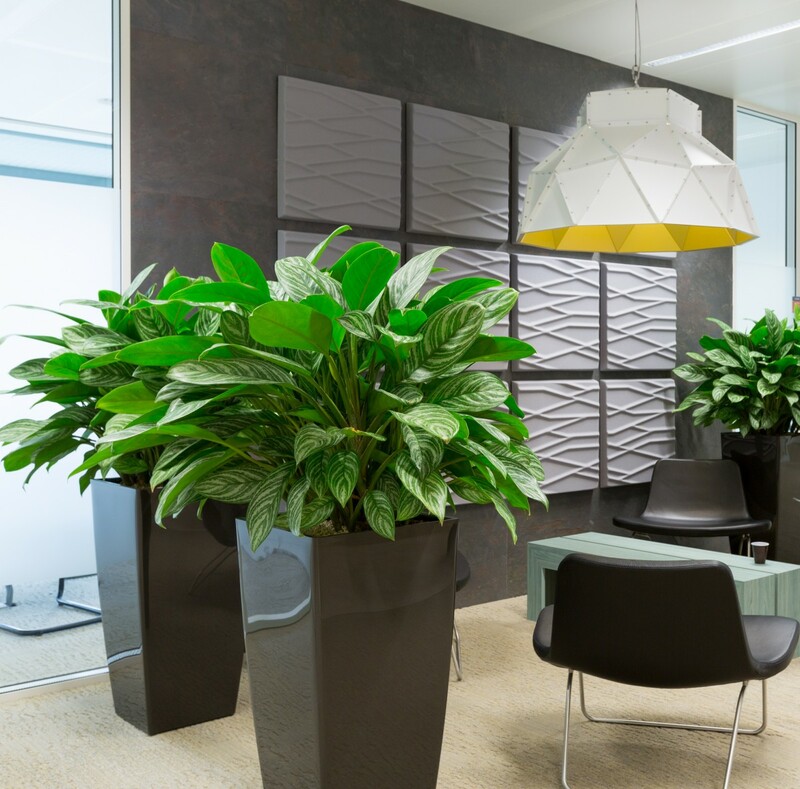 Our smooth cooperation with the client produced a distinguished choice of indoor greenery. Besides its function as an entrance hall, the impressive atrium serves as a meeting room and relaxation area. We installed five trees (Bucidas) there. In view of the limited floor load, we opted for a smaller tree type. The tree crowns will become fuller over time. There is also a variety of planted pots and a swirl covered with climbing plants. And the restaurant has a ‘railway compartment’ decorated with plants. Additionally, we installed plant containers in various relaxation areas on different floors. The patio is furnished with a number of grand, stylish containers with both plants and trees, and the work areas on four floors have green installations filling 180 metres of planters.